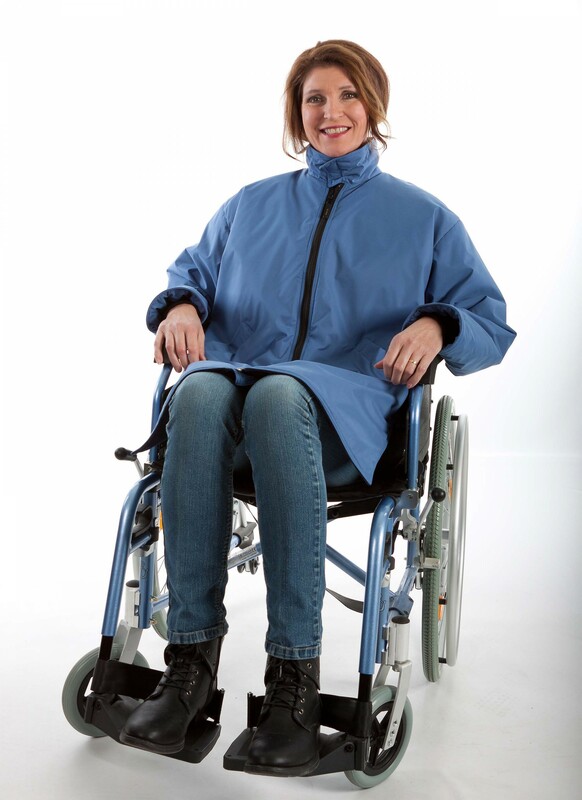 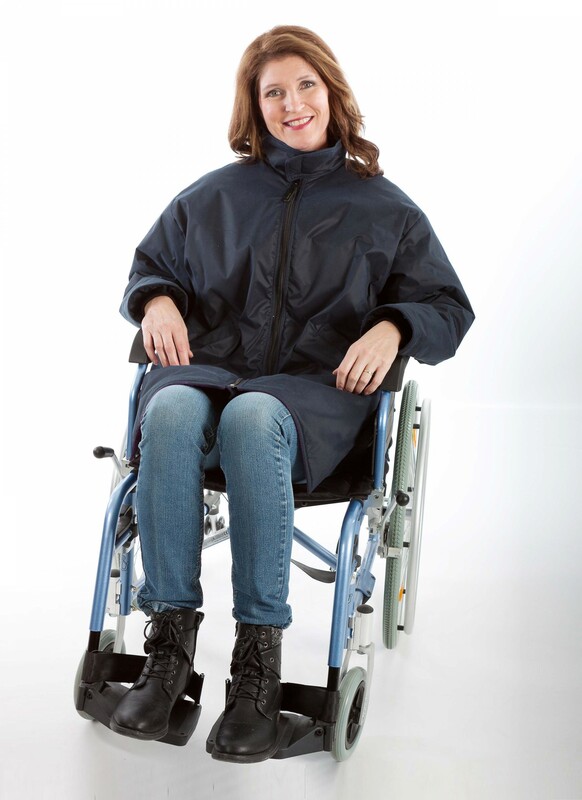 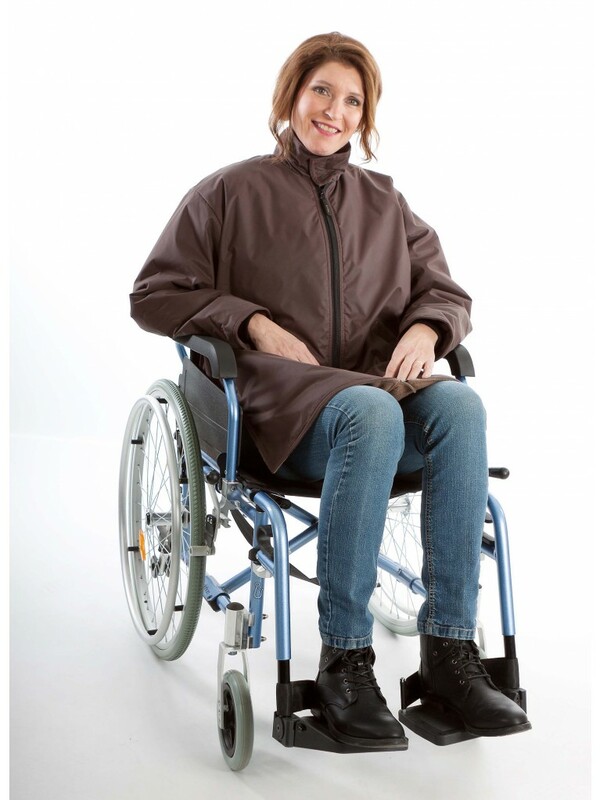 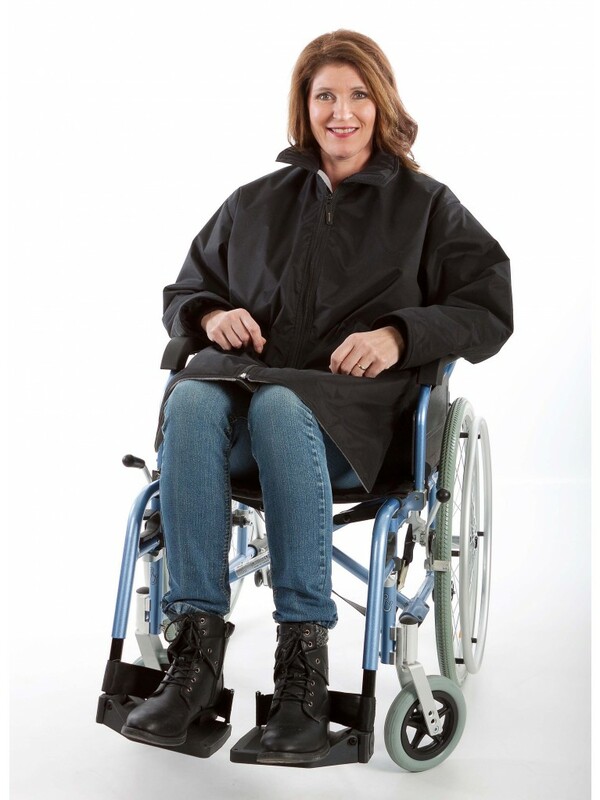 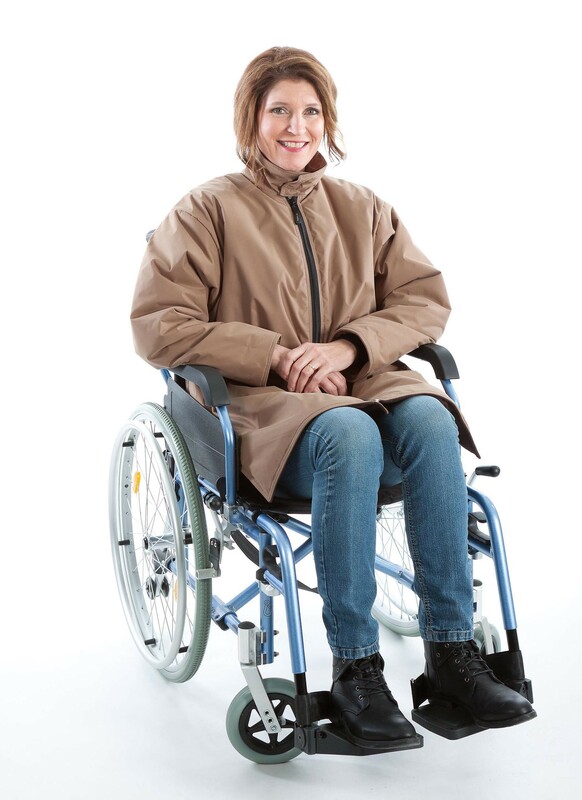 Standard winter coat for Men and Women This coat can only be ordered in the standard version, colours and fleece lining. 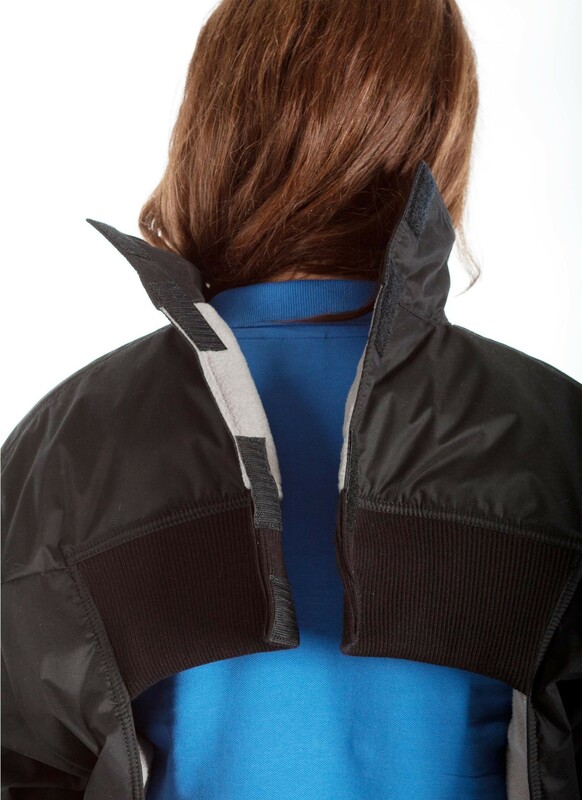 On the front there is a long zipper which can be fully opened and has a Velcro closure on the back. 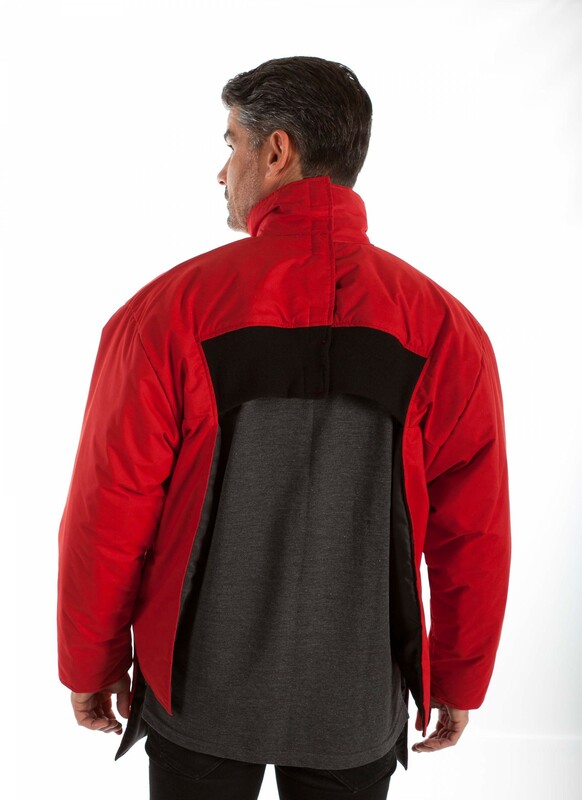 The sleeves have wind catchers. This coat can be dressed from front to back, so it is no longer necessary to lift the arms. 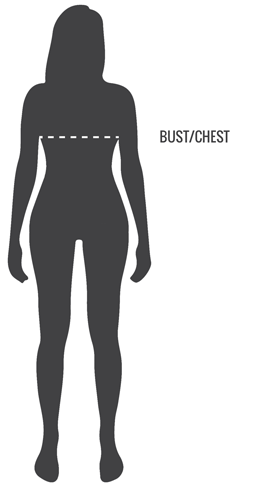 Wash at 40° degrees, do not bleach, dry at a low setting, iron at a low setting.